Which of the opinion pieces from just-food's team of industry experts gave you food for thought in 2018? Here are the top ten most-read. just-food's US columnist Victor Martino kicked off 2018 with a message all food majors in the US should heed - as, for that matter, should those operating further afield. The major, branded CPG operators in the US are not only facing a challenge from growing demand for products from upstart, agile competitors tapping into evolving consumer trends. They are also, Victor Martino warned, seeing another front open up from private-label. Nestlé revealed a generally positive set of first-half results in July that were received favourably by the stock market, despite a tweak to the Swiss food giant's organic growth outlook. But what was most interesting was what can surely only be deemed as a veiled kickback by CEO Mark Schneider at activist investor Daniel Loeb. As the US FMCG sector witnesses the biggest change in consumer habits in a generation, some argue brands are becoming less important. However, just-food's US columnist, Victor Martino, begged to differ. How CPG companies should adapt to "the new consumer experience"
All that's historically been solid in CPG brand marketing is melting into air amid changes in consumer demand, argued Victor Martino, who outlined how companies need to react. In March, Unilever announced plans to a change its legal structure, which would have seen the FMCG behemoth have its main base in the Netherlands. The UK media swiftly pointed to Brexit - but the key factor was to give the group more options when it comes to M&A. 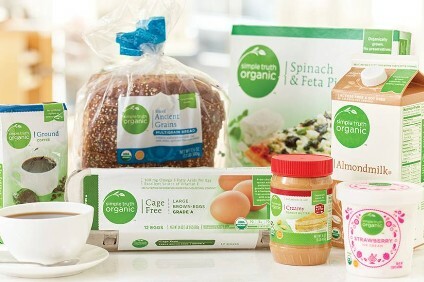 It had been clear for months there were some sizeable challenges facing Aryzta, the Swiss-Irish bakery giant - and there were signs in May the company's problems persist. Among senior leaders, a shift is underway from looking at their business structure through the lens of efficiency to seeing their team as a vital component in staying ahead of the competition. But how can talent be retained? In a guest column, Bryony Wright, of international executive coaching firm The Preston Associates, argued team-builders need to look beyond simple remuneration. In November, PepsiCo announced a move for small UK crisp maker Pipers - and Dean Best set out where the snacks giant could best make headway with its new asset. One of the common reasons entrepreneurs are hesitant to embark on a new venture is their apprehension towards securing sufficient funding but large numbers of investors, with deep pockets, are keen to invest in the right food start-up venture, John Stapleton wrote in October.